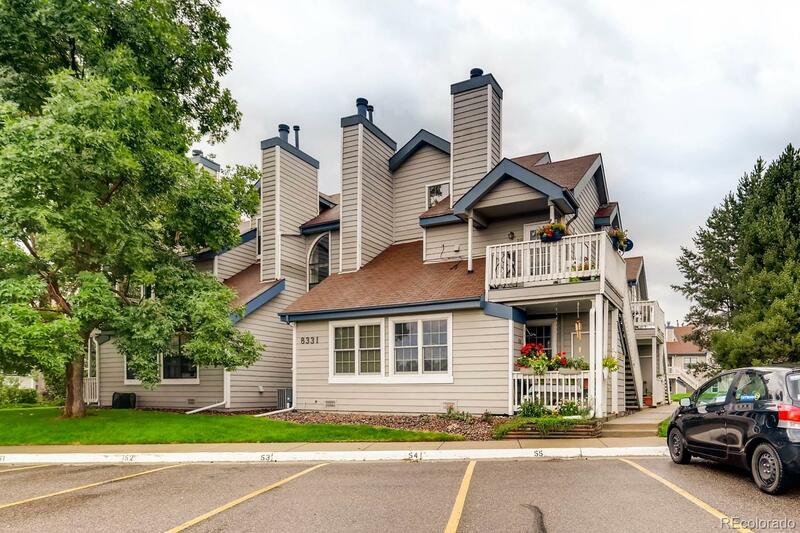 You will absolutely love this Condo location with some Mountain Views on the North side of complex! Right out front door is your 1 Car Covered Carport with plenty of additional Parking Spaces available*Move In Ready with some updates including new wood Like floors on Main level, Water Heater, Cool Spiral Staircase to upper Second Bedroom, Vaulted Ceilings! Main Floor Master Bedroom and Bathroom. *Easy to set up and Show! Well Maintained Community includes Pool and clubhouse Tennis courts and Playground.